It has now been 10 years since I learned that I don’t have a uterus (MRKH). During this time, having sought the help of many faithful lay people, priests, theology books, saints’ writings, blog posts and support groups, I have noticed that there is a gaping hole in the body of Catholic publishing and public awareness. Catholics dealing with infertility have plenty of resources telling them what the church does and does not permit with regard to reproductive technologies. What they don’t have is enough spiritual support to help them walk the difficult road they face. I love that Pope Francis talks about the Church as being a field hospital. It’s not just a place for the perfectly holy with perfectly working bodies who live in perfectly formed worlds. There is sin, there is suffering, and there is death. We live in a war zone. Infertile people need help carrying this cross. They need validation of their suffering, confirmation of their place in the Body of Christ, and encouragement to walk the path set before them. Accepting infertility is a grieving process, not unlike grieving the death of a loved one. The pain is real. Don’t minimize it. Never tell someone to “get over it.” Even years later, something unexpected can trigger tears without warning (prime example: Facebook pregnancy announcements- especially with pictures). Your infertile friends are grieving. Minister accordingly. Ask them how they’re doing. Empathize. Tell them you love them. Help them feel loved. Help them know that God loves them and has a plan for them, in spite of their body’s failings. Don’t offer false hope, and beware of Prosperity Gospel squeaking its way in. Sometimes, more prayer isn’t going to make a baby. God will do what He wills, not what we will. 2. Confirmation of their place in the Body of Christ. Simply put, many of us feel like we don’t belong. We’re surrounded by other couples who have been gifted with children. Infertile couples need to know that their marriage has a purpose in itself, with or without children, which are a gratuitous gift from God and not a prerequisite to a faithful union or a required demonstration of fruitfulness. Being “open to life” means being open to whatever life God has planned for you, be it 10 children, no children, overseas missionary work, or anything else. Growing up in a family, it’s natural to expect children-but what right do we have to expect a gift? 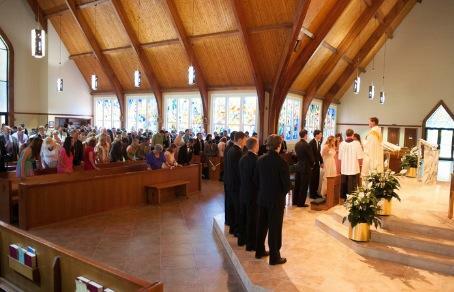 If we teach that certain technologies are wrong because children are a gift and not a right, then we need to carry that through and emphasize the fact that marriage is not made complete by the blessing of children- sacramental marriage is already complete to begin with. This teaching tends to get lost. We need to remember that children are not the only manifestation of fruitfulness in marriage. They are most obvious, but not the only. Let’s talk about other manifestations of fruitfulness: Charity, Hospitality and Sacrifice. 3. Encouragement to walk the path set before them. Following the teachings of the Magisterium in the case of infertility may be the hardest thing that many of these couples have ever done in their lives. With some forms of infertility, the the only way to fulfill the good, natural, and burning desire for a biological child is through illicit treatments. Laying down these God-given desires and freely choosing to forgo these technologies (sometimes out of pure obedience rather than agreement) is a tremendous sacrifice. It is truly dying to oneself. This self-sacrifice can go on for years, or even a lifetime. If you know someone dealing with infertility who is trying to follow Church teaching- encourage them. Recognize their desire to please the Lord. Don’t beat them down with doctrine and never, ever say, “just adopt.” Adoption is a unique calling, one that the couple needs to discern separately. The best thing that anyone ever said to me upon expressing my frustration with Church teaching was, “God gives us these rules for a reason. He knows what is ultimately going to make you happy. Somehow, I don’t think that IVF is going to make you happy.” Those words have stuck with me ever since they were said some six years ago, and they have become the biggest source of encouragement for me along this path. True, these words won’t work for everyone, but there is something out there to give life to The Way for each person who desires to walk it. At the end of the day, the best thing you can do is to help us to see the beauty of the Church’s teachings. Help us stay strong in our belief that this road is worth it. Be a friend along the road, even if it’s the Via Dolorosa. True to the season, we have so much to be happy about right now. There is so much to look forward to, and so many things to process. Our first married Easter was beautiful. We are truly blessed. My parents joined us for Mass, followed by brunch at our house. It was really wonderful. My sister had gone to the Vigil the night before, so she hung out in my kitchen and cooked while were at church. Later, James and I went to his side for dinner. We had a wonderful time visiting with everyone. After talking with his mom, aunts and cousins over the course of the weekend, there was one recurring idea that was mentioned. Wow. Honestly it’s such a mind-blowing idea, though it might not sound like it to some. It’s a little different than just deciding to “try” like our fertile friends. If you get pregnant right away, you usually have 9 months to prepare for the baby. If you get chosen right away, with adoption, it can be WEEKS or, in rare cases, DAYS before a baby is in your hands. Of course, it can also take several years. That, perhaps, is why many have said to put it all in God’s hands. Nothing will happen without a home study, of course, but after that, leave it, and trust. I think I can do that. Trusting can be hard, but it is something we’re not strangers to. I know that with our family, if we were stuck and needed baby stuff in a pinch, they would help us. As for careers and child care, maybe God will lead me to something I can do part time or from home. My other worry has to do with all the traveling I want to do. Can we take the baby with us? Will we be good at that? I mean if Will and Kate can take George to Australia, surely James and I can take our baby to the great cities of Europe. Does that sound ridiculous? I mean people live with babies every day in every city of the world. It’s more expensive, but it has to be doable, right? Maybe this is where trust comes in. Once Upon a Time on June 1, 2013, I married my true love, James. We had a beautiful wedding with 200 of our closest family and friends. Even though we had so many people, to us it felt small and intimate. Having James’s uncle, a priest, as the celebrant made it all the more moving. James’s cousins were the altar servers, and our siblings, cousins, niece and nephew were the attendants. For our dedication to the Blessed Virgin, we used a rose from James’s grandfather’s funeral. My sister sang “The Servant Song” after Communion. We were surrounded by our family. It was perfect. We were so unbelievably happy on that day and we’ve been glowing ever since. 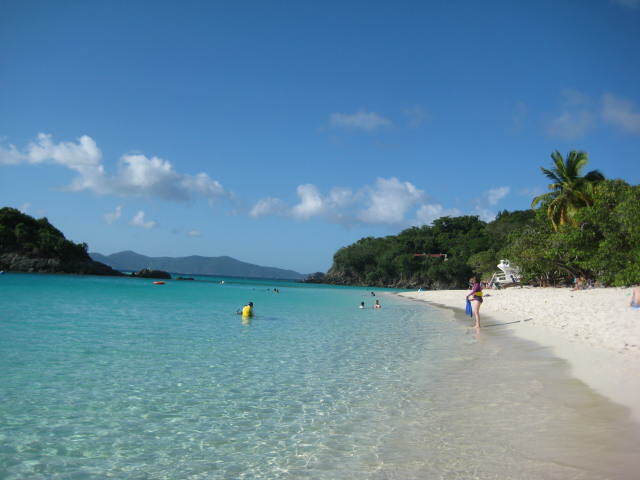 We honeymooned on St. Thomas, USVI. It was Amazing. Capital “A”. Neither of us had ever been to the Caribbean. We were more than impressed. When we weren’t lounging at the Marriott resort, we were exploring the 17th century Danish sights and hunting down postcard beaches. The day we spend on St. John was my favorite. One more place crossed off the bucket list! I suppose I’ll have to do a travel post soon. 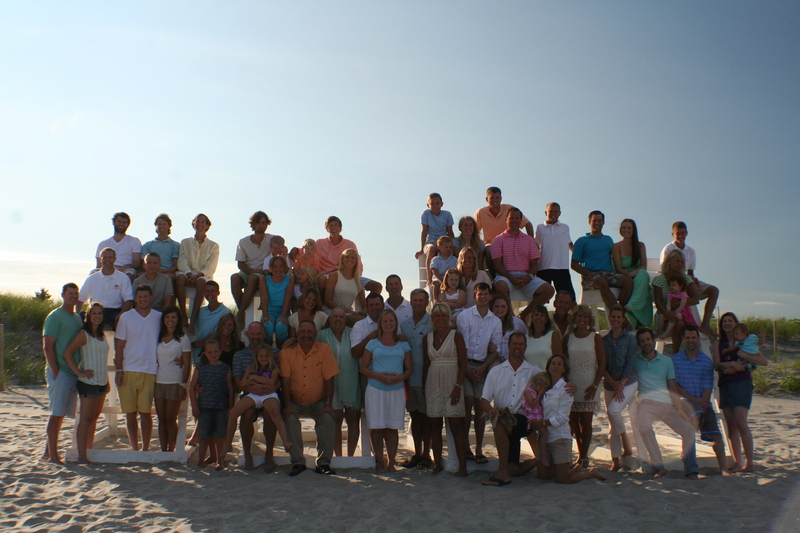 A few weeks after we came home, we went to Avalon, NJ with all of our aunts, uncles, and cousins on James’s side. It was probably the best beach vacation I’ve ever had, excluding our honeymoon, of course. I love our family so much and it was such a wonderful experience to spend so much time with them.